LANSING — A Republican gubernatorial candidate was rebuked by colleagues Thursday for peddling “conspiracy theories” about Muslims on the floor of the Michigan Senate. 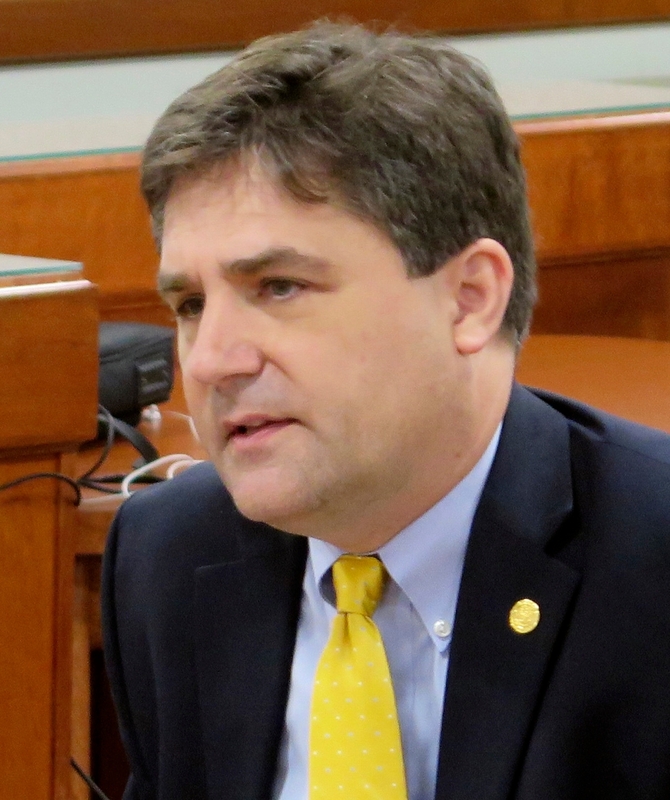 State Sen. Patrick Colbeck in a Thursday speech defended unsubstantiated claims of the Muslim Brotherhood installing “civilization jihad” in the U.S. The comments came two days after Buzzfeed News reported he made similar statements in a private meeting this month. On the Senate floor, Colbeck also alluded back to unfounded claims that Abdul El-Sayed, a Democratic candidate for governor and Muslim-American doctor, has ties to the Muslim Brotherhood. He argued that the organization has support from the Muslim Student Association, which El-Sayed participated in while attending the University of Michigan. The Muslim Student Association is a network of college students at campuses nationwide who meet to celebrate Islamic culture. Michigan’s Republican Party distanced itself from Colbeck’s “conspiracy theories” in a statement by spokeswoman Sarah Anderson, but GOP politicians vying to replace Gov. Rick Snyder are largely sidestepping the controversy. Republican front-runner Bill Schuette, Michigan’s attorney general, believes “all people must be treated with dignity and respect,” spokesman John Sellek said. Schuette’s rival, Lt. Gov. Brian Calley, did not respond to a request for comment, while the fourth candidate, Dr. Jim Hines from Saginaw, said Colbeck should understand his constitutional pledge to not discriminate based on faith. Republican leadership in both chambers declined to comment. Polls have shown Colbeck in the single digits. Republican political consultant Dennis Darnoi said he doesn’t believe Colbeck’s sentiments will have much sway on Michigan’s GOP base this year. Colbeck’s speech was a “self-serving” stunt, he said. “He will do and say anything he possibly can to make sure his gubernatorial candidacy has wings,” Darnoi said. “It’s a pathetic attempt to try to draw attention to himself and has no place in the Republican Party, period.”.